I was looking through my portfolio when I came across three articles I wrote as an intern for Opera Columbus. Featured in Columbus Parent Magazine, my single page contribution represents my first published writing on behalf of music heritage preservation! 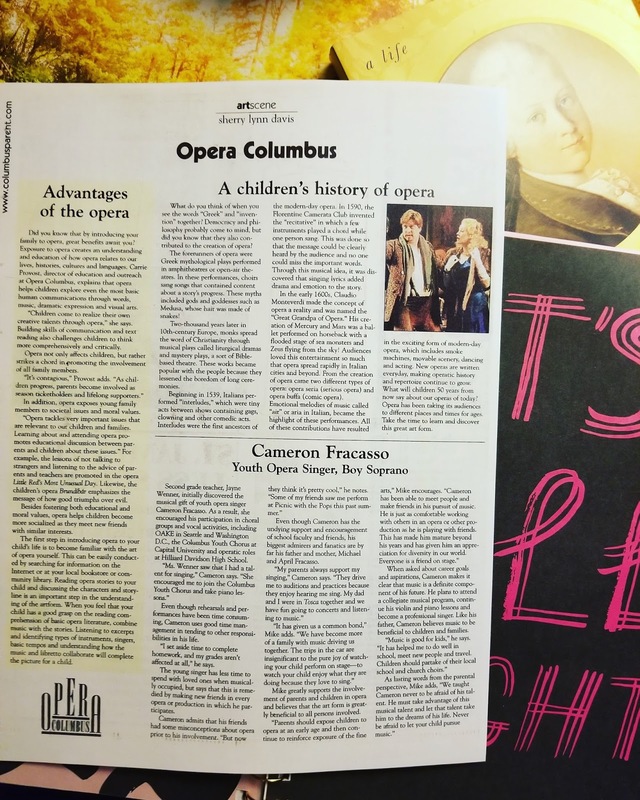 Education and outreach have always been central to my work and I'm glad that in the beginning I had the opportunity to write on behalf of an underrepresented subject: opera and children. contests when accompanying a winning parent to see Mozart's operas in cinemas. Reading these articles again, I'm inspired to do more as a professional, community member and family member to engage our youngest audience. And I thought I'd share them here in hopes that they'll encourage others to take action as well. After all, doing our part to sustain the art form is a shared joy and responsibility!